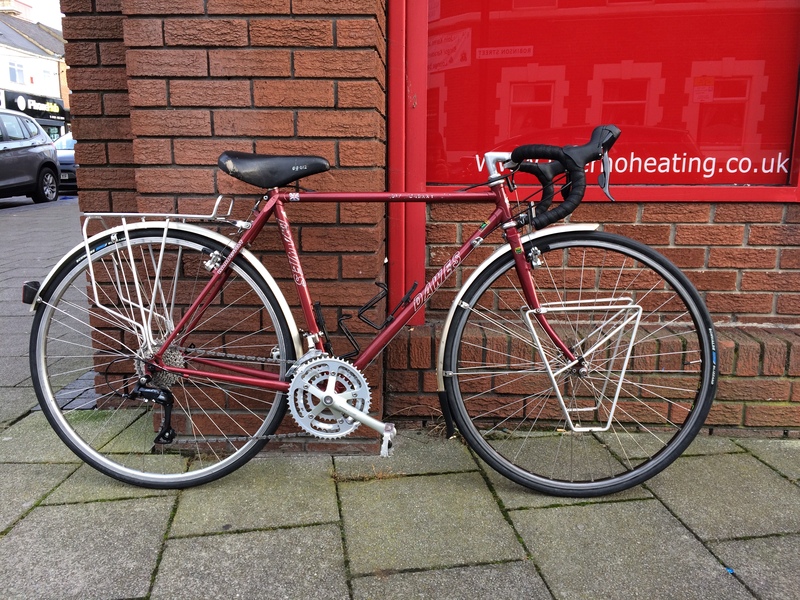 I recently bought a Dawes Super Galaxy in pieces and had it built up for my partner as an Xmas present. Unfortunately I'm 99% sure it's going to be too big for her (she's 5'1 but has particularly short legs). 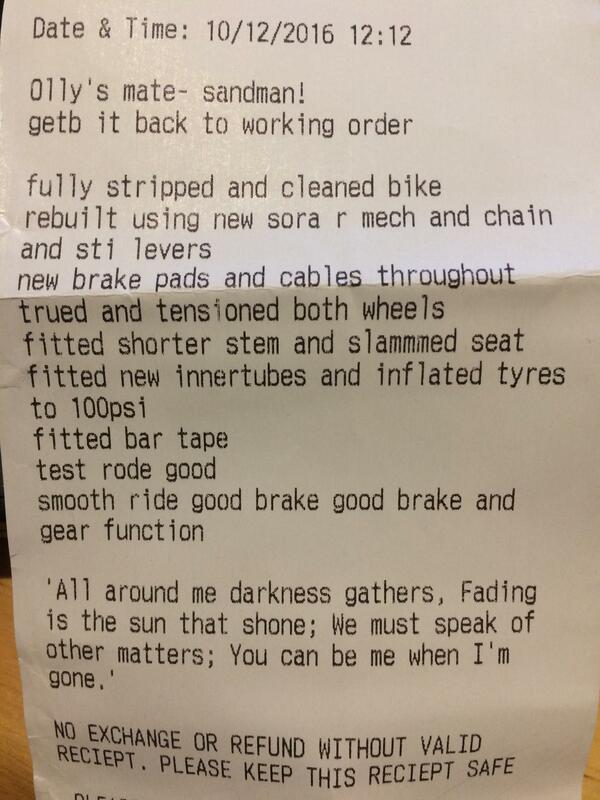 It needed new levers, rear mech, cassette etc - I'll attach an image of the receipt with a list of all the work done. Could you lot help me with a ballpark figure of how much it might be worth, as I'll likely have to sell it and it seems daft to split something that has been made to work as is. Not that it affects the value, but I'm genuinely gutted that it doesn't fit, rides super smoothly and seems like a proper solid build, albeit with some slightly miss matched components. 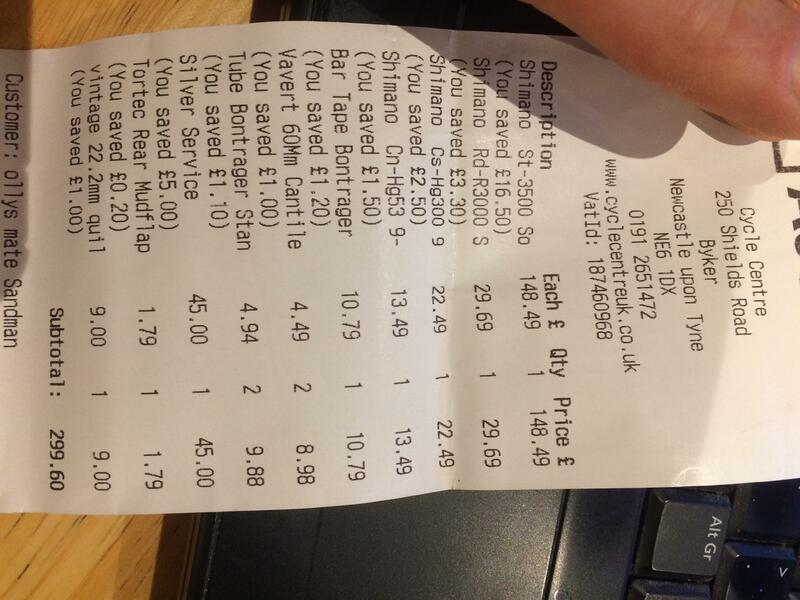 Sad to say, but I think you'd be doing well to recover what you spent at the LBS: around £250 seems to be the going rate. I'd try the Cycling UK forum or YACF and start at £300, stressing the complete refurb and new parts, but be prepared to come down from that. In that case, would I just be better off selling the f&f and looking for a replacement, swapping everything over myself? Well a very broad "rule of thumb", is that anything new loses 25%/30% of it's value as soon as you walk out of the shop with it. So you're taking a hit on the new stuff you've had fitted, without having had the benefit of any use from it. Bearing that in mind, I think what you suggest is the least painful option. You'll need to think about the compatibility of your parts with any new frame (perhaps the brakes and mounting the front derailleur), but you'll recover more by selling them individually (if necessary), than you would if it was sold as a complete bike. I guess if I got really lucky, I'd find a fitting bike for £3-400, and just make back what I can from this. Which simply isn't happening before Christmas. FML. What happened to this in the end? I'm currently looking a similar age Dawes which is a bit run down and would need a full strip down - but I'd probably keep the original 7 speed rear mech and bar shifters for now. Been looking on eBay at what they go for and in this condition it can vary hugely. I think some people are dreaming but I would like to think you'd get £300! Shame it's very much not my size. That's a shame it doesn't fit @nefarious. For reference I got a regular 90's Galaxy with original parts on ebay for £120, but I did see others go for more than a few hundred. Is it a 54cm or 52cm? If you decide to sell the frameset my sister might be interested. The bike looks great. I hope you found someone to take it off you.